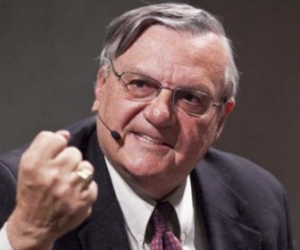 A federal judge ordered Maricopa County and Sheriff Joe Arpaio to answer several claims in my pro-se federal lawsuit. U.S. Magistrate Judge Lawrence O. Anderson denied the defendants’ motions to dismiss the case on Tuesday, while also dismissing some of the Plaintiff’s (my) claims. READ THE ENTIRE ORDER IN PDF FORMAT HERE. This entry was posted in 55 Days In Maricopa County Jail, Tempe and Maricopa County Arizona News and tagged Joe Arpaio, lawsuit, Maricopa County Jail on December 23, 2009 by Brian Wilkins.